Prime Minister Shinzo Abe hosted a dinner for 24 Japanese speaking foreign ambassadors on Tuesday, with the majority refusing the offer of a fork. The event was hailed as a success in promoting communication and mutual understanding. 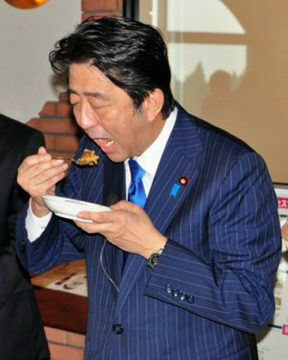 “I communicated to each ambassador that their chopstick skills were amazing,” said PM Abe. 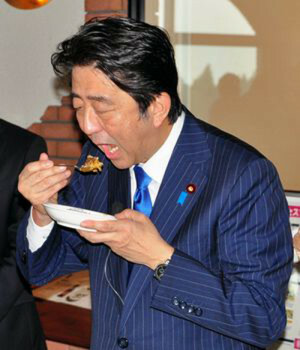 At one point in the evening PM Abe used a fork himself when eating a rice dish in an attempt to show solidarity with his guests. “The dinner couldn’t have gone any better – I couldn’t understand half of what they were saying but my staff reassured all of them that their Japanese was faultless,” said PM Abe.